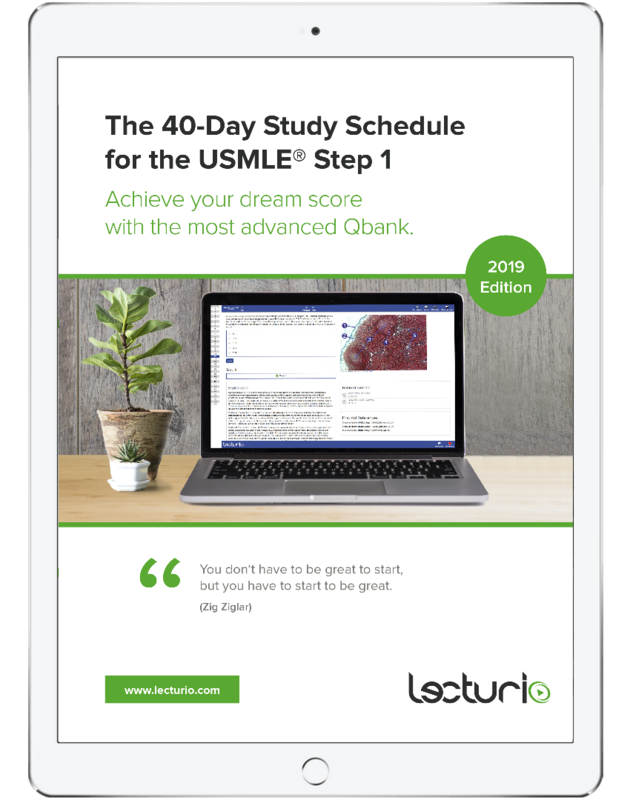 Is your USMLE exam less than 2 months away? This 40-day study schedule will teach you how to study strategically and make most out of each day! Switch on studies, switch off everything else. For the next 40 days, you will – by adopting this schedule – use a Qbank to learn high-yield medical concepts and test-taking strategies. Each Qbank question you complete during this period will expand your knowledge-base and familiarize you with the best way to work through other questions like it.For the next 40 days, you will – by adopting this schedule – use a Qbank to learn high-yield medical concepts and test-taking strategies. Each Qbank question you complete during this period will expand your knowledge-base and familiarize you with the best way to work through other questions like it. Deepen your understanding of the USMLE Step 1 exam until you are ready to tackle it with total confidence.